Since its discovery nearly 65 years ago, the cosmological redshift has endured as one of the most persuasive ‘proofs’ that our universe is expanding. The steps leading to its discovery are well known. Soon after Christian Doppler discovered that motion produces frequency shifts in 1842, astronomers began an aggressive spectroscopic program to measure the velocities of stars and planets using their Doppler shifts. This continued through the first few decades of the 20th century ‘culminating’ in the work by Vesto Slipher, Edwin Hubble and Milton Humason on the so-called spiral nebulae — distinctly non- stellar objects that also seemed to display star-like Doppler shifts. So long as velocities of only a few hundred kilometers per second were measured, no one questioned that the frequency shifts for the spiral nebulae indicated relative motion just as they had for stars and planets. But, during the 1920’s and 30’s spiral nebulae with Doppler shifts of over 34,000 kilometers per second were discovered. In a letter by Hubble to the Dutch cosmologist Willem De Sitter in 1931, he stated his concerns about these velocities by saying “… we use the term ‘apparent velocities’ in order to emphasize the empirical feature of the correlation. The interpretation, we feel, should be left to you and the very few others who are competent to discuss the matter with authority.” Dispite this cautionary note, the fact of the matter was that the redshifts measured for the distant galaxies LOOKED like Doppler shifts. The terms ‘recession velocity’ and ‘expansion velocity’ were quickly brought into service by astronomers at the telescope, and by popularizers, to describe the physical basis for the redshift. As astronomers explored the universe to greater depths, galaxies and quasars appeared to be rushing away at faster and faster speeds. 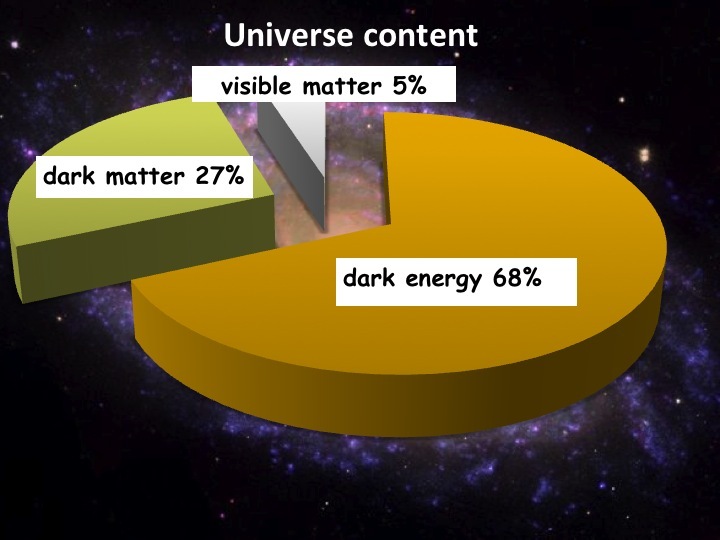 It seems to be a completely natural consequence of the outrushing of matter from the big bang. Like a sparkling display of fireworks on a warm summer evening, we imagine ourselves standing on one of those galactic ‘cinders’, watching the others rush past us into the dark void of infinite space. Upon closer examination, however, this intuitively-compelling and seductive mental image is both inadequate and misleading. Big bang cosmology is based on Einstein’s general theory of relativity. It is a theory transcending both Newton’s mechanics and Einstein’s special theory of relativity, introducing us to concepts that do not exist within the older theories. Nor are these concepts easily comprehensible by our common sense which has been honed by organic evolution to see the world only through a narrow set of glasses. For example, special relativity is based on the difficult-to-fathom postulate that the speed of light is absolutely constant when measured in reference frames moving at a constant speed. From this emerges the concept of ‘spacetime’ which then becomes the arena for all phenomena involving time dilation, length contraction and the Twin Paradox. Beyond special relativity lies the incomparably more alien landscape of general relativity. Gravitational fields now become geometric curvatures of spacetime. This has no analog in special relativity based as it is on a perfectly flat spacetime that remains aloof from any influence on it by matter or energy. Just as the constancy of the speed of light led to the Twin Paradox, the curvature of spacetime leads to its own menageri of peculiar phenomena. One of these involves the slowing-down of clocks in the presence of a strong gravitational field. Related to this is the “gravitational redshift” which occurs when the frequency of light sent from the surface of a body is shifted to lower frequencies during the journey to the observer. This redshift is not related to the famous Doppler shift since the observer is not in motion relative to the body emitting the light signal! A second phenomenon predicted by general relativity that also has no analog in special relativity is the cosmological redshift. Simply stated, the cosmological redshift occurs because the curvature of spacetime was smaller in the past when the universe was younger than it is now. Light waves become stretched en route between the time they were emitted long ago, and the time they are detected by us today. It is tempting to refer to cosmological redshifts as Doppler shifts. This choice of interpretation has in the years since Hubble’s work led to an unfortunate misunderstanding of big bang cosmology, obscurring one of its most mysterious beauties. As noted with a hint of frustration by cosmologists such as Steven Weinberg and Jaylant Narlikar and John Wheeler, “The frequency of light is also affected by the gravitational field of the universe, and it is neither useful nor strictly correct to interpret the frequency shifts of light…in terms of the special relativistic Doppler effect.”. By refering to cosmological redshifts as Doppler shifts, we are insisting that our Newtonian intuition about motion still applies without significant change to the cosmological arena. A result of this thinking is that quasars now being detected at redshifts of Z = 4.0 would have to be interpreted as traveling a speeds of more than V = Z x c or 4 times the speed of light. This is, of course, quite absurd, because we all know that no physical object may travel faster than the speed of light. To avoid such apparently nonsensical speeds, many popularizers use the special relativistic Doppler formula to show that quasars are really not moving faster than light. The argument being that for large velocities, special relativity replaces Newtonian physics as the correct framework for interpreting the world. By using a special relativistic velocity addition formula the quasar we just discussed has a velocity of 92 percent the speed of light. Although we now have a feeling that Reason has returned to our description of the universe, in fact, we have only replaced one incomplete explanation for another. The calculation of the quasar’s speed now presupposes that special relativity ( a theory of flat spacetime) is applicable even at cosmological scales where general relativity predicts that spacetime curvature becomes important. This is equivalent to a surveyor making a map of the state of California, and not allowing for the curvature of the earth! The adoption of the special relativistic Doppler formula by many educators has led to a peculiar ‘hybrid’ cosmology which attempts to describe big bang cosmology using general relativity, but which is still firmly mired in the ruberik of special relativity. For instance, under the entry ‘redshift’ in the Cambridge Encyclopedia of Astronomy it is explicitly acknowledged that the redshift is not a Doppler shift, but less than two paragraphs later, the special relativistic Doppler formula is introduced to show how quasars are moving slower than the speed of light! It is also common for popularizers of cosmology to describe how ‘space itself stretches’ yet continue to describe the expansion of the universe as motion governed by the restrictions of special relativity. What’s going on here? By adopting general relativity as the proper guide, such contradictions are eliminated. 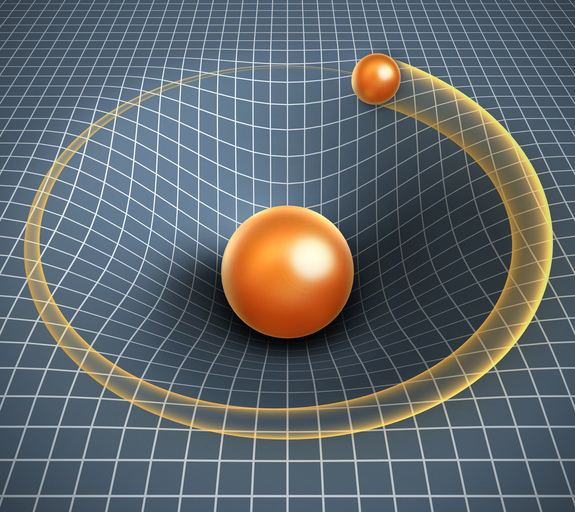 General relativity leads us to several powerful conclusions about our cosmos: 1) special relativity is inapplicable for describing the larger universe; 2) the concepts of distance and motion are not absolutely defined and 3) Preexisting spacetime is undefined. Each of these conclusions are as counter-intuitive as the Twin Paradox or as the particle/wave dualism of quantum mechanics. As Nobel Physicist John Wheeler once put it “If you are not completely confused by quantum mechanics, you do not understand it” The same may be said for general relativity. The first conclusion means that we cannot trust even the insights hard won from special relativity to accurately represent the ‘big picture’ of the universe. 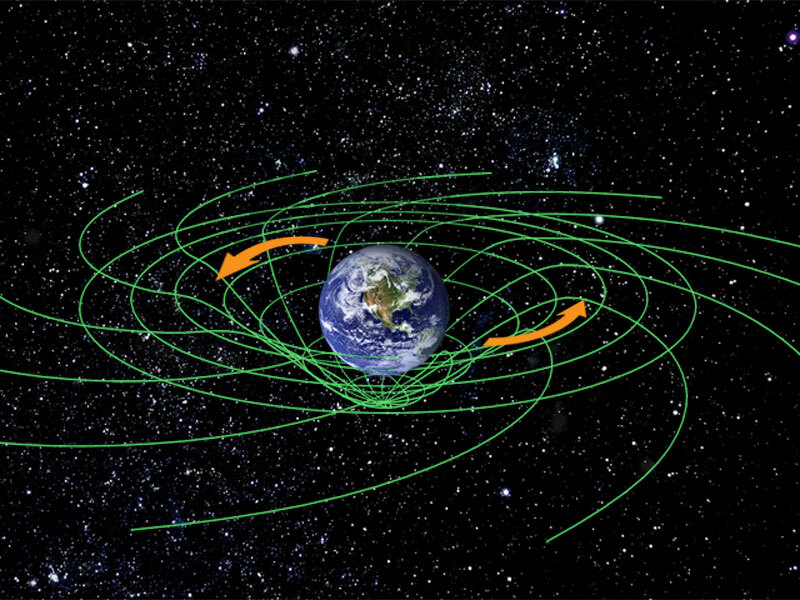 General relativity must replace special relativity in cosmology because it denies a special role to observers moving at constant velocity, extending special relativity into the arena of accelerated observers. It also denies a special significance to special relativity’s flat spacetime by relegating it to only a microscopic domain within a larger geometric possibility. Just as Newtonian physics gave way to special relativity for describing high speed motion, so too does special relativity give way to general relativity. This means that the special relativistic Doppler formula should not, in fact cannot, be used to quantify the velocity of distant quasars. We have no choice in this matter if we want to maintain the logical integrity of both theories. The second conclusion is particularly upsetting because if we cannot define what we mean by distance, how then can we discuss in meaningful terms the ‘motion’ of distant quasars, or a Hubble Law interpreted as a distance versus velocity relation? In a small region of spacetime, we can certainly define motion as we always have because space has a static, flat geometry. When a body moves from point x to point y in a time interval, T, we say it is moving with a speed of S = (x – y)/T. There are also specific experimental ways of measuring x, y and T to form the quotent S by using clocks and rulers. The crucil feature behind these measurements is that nothing happens to the geometry of space during the experiment to change the results of the measuring process. In the cosmological setting which we believe is accurately described by general relativity, we have none of these luxuries! Astronomers cannot wait millions of years to measure quasar proper motions. They cannot, like Highway Patrol officers, bounce radar beams off distant galaxies to establish their relative distances or speeds. Unlike all other forms of motion that have been previously observed, cosmological ‘motion’ cannot be directly observed. It can only be INFERRED from observations of the cosmological redshift, which general relativity then TELLS US means that the universe is expanding. In big bang cosmology, galaxies are located at fixed positions in space. They may perform small dances about these positions in accordance with special relativity and local gravitational fields, but the real ‘motion’ is in the literal expansion of space between them! This is not a form of movement that any human has ever experienced. It is, therefore, not surprising that our intuition reels at its implication and seeks other less radical interpretations for it including special relativity. But even the exotic language and conundrums of special relativity cannot help us. Instead we are forced to interrogate the mathematics of general relativity itself for whatever landmarks it can provide. In doing so, we are left, however, with a riddle as profound as that of the Twin Paradox, and equally challenging to explain. Two galaxies permanently located at positions (x1 , y1 , z1 ) and ( x2 , y2 , z2 ) at one time find themselves one billion light years apart. Then a few billion years later while located at the same coordinates, they find themselves 3 billion light years apart. The galaxies have not ‘moved’, nevertheless, their separations have increased. In fact, when the universe was only one year old, the separations between these galaxies were increasing at 300 times the speed of light! Space can expand faster than the speed of light in general relativity because space does not represent matter or energy. The displacements that arise from its dilation produce an entirely new kind of motion for which even our special relativistically-trained intuitions remain profoundly silent. Like that gentleman from Main once said “You can’t get there [to general relativity] from here [special relativity]”. To the extent that general relativity has been tested and found correct, we have no choice but to accept its consequences at face value. The last conclusion drawn from general relativistic cosmology is that, unlike special relativity, it is not physically meaningful to speak of spacetime existing independently of matter and energy. In big bang cosmology, both space and time came into existence along side matter and energy at ‘time zero’. If our universe contains more than a critical density of matter and energy, its spacetime is forever finite and bounded, in a shape analogous to a sphere. Beyond this boundary, space and time simply do not exist. In fact, general relativity allows the Conservation of Energy to be suspended so that matter and energy may be created quite literally from the nothingness of curved spacetime. General relativity provides a means for ‘jump-starting’ Creation! Big bang cosmology is both a profoundly beautiful, and disturbing, model for our universe, its shape and its destiny. It contains many surprises which have yet to be completely worked-out. But one feature of the evolving universe seems absolutly clear, the big bang was not some grand fireworks display, but an event of a completely different order. It resembled more an expanding soap bubble film upon which galactic dust motes are carried along for the ride. This film represents the totality of all the space and matter in our universe, and it expands into a mysterious primordial void which is itself empty of space, dimension, time or matter. In the future it is hoped that a death knell will finally have sounded for the last vestage of the older thinking. With the Doppler interpretation of the cosmological redshift at last reconsidered, and rejected, we will finally be able to embrace the essential beauty and mystery of cosmic expansion as it was originally envisioned by its discoverers.